You’ve paid plenty for your shell scheme floor space so make sure you get the most from it by using this amazing new slim line system! Not only does this incredible system look wonderful with tension-ed fabric graphics but it also is perhaps the easiest ever system to transport and install. Just a couple of holdalls is all you have to pop in the boot. Package includes frames, fabric printed sleeves and carry bags Choose the option with lights and we include 5 off superb LED lights. KIT 2 Bundle - extraordinary looks, extraordinary value! 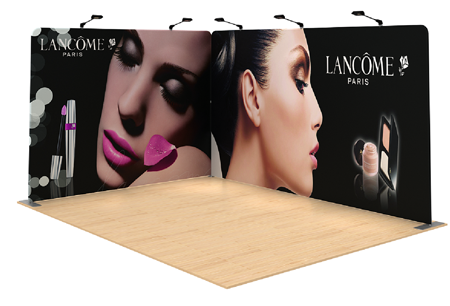 Fabric Exhibition Stands have become very popular very quickly in the UK. Why? The three main reasons are cost, looks and portability. Lets start with looks. The fabric display has a smooth finish with no seams across the front or the back. This gives a perfect finish with the text and images in perfect alignment - each time and every time. 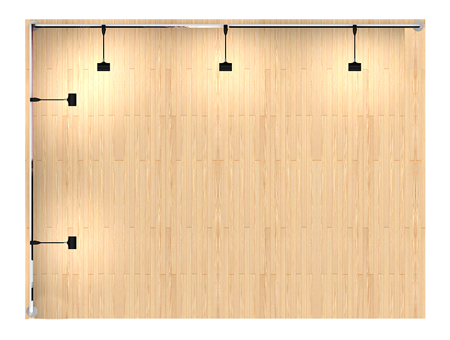 As for cost, these are exceptional value for money and compare well with other display systems of similar dimensions. And finally we have the ease of transport and assembly. Ideal for travel and taxis!